George Park wrote from Parkville, Missouri, to Isaac Goodnow, mentioning his efforts to obtain land for Goodnow's "Agricultural College". 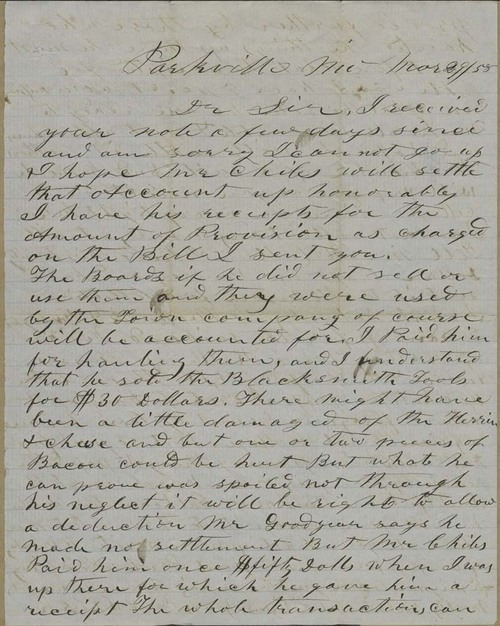 Park told Goodnow to have his "leading men" write letters to Congress in order to obtain a land grant. He also observed that emigrants were beginning to come in droves.